The second trailer for the upcoming film 12 Strong has just been released, giving another look at the post-9/11 world through the eyes of American soldiers. Doug Stanton wrote the original novel while Peter Craig and Ted Tally wrote the screenplay for the film. The movie gathers its nonfiction material from Horse Soldiers, the title of which refers to one of the ways in which the Special Forces team in the narrative adjusts their strategies to fit in better with the landscape of Afghanistan, where they aim to negotiate a treaty with potential Afghan allies to counter Al Qaeda and the Taliban. Fresh off the well-received and critically-positive second sequel to the Thor franchise where he plays the titular Norse god, Chris Hemsworth will headline the film. 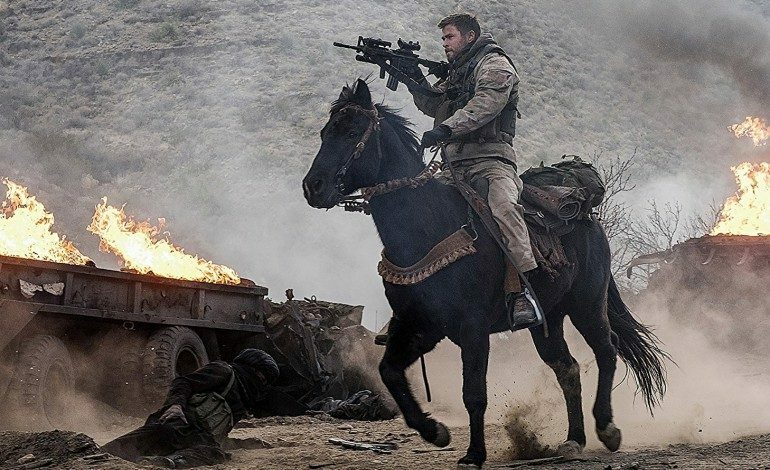 12 Strong also boasts a huge cast with other names like Michael Shannon, Said Taghmaoui, Michael Peña, Rob Riggle, Fahim Fazli, Trevante Rhodes, Jack Kesey, William Fitchner, Yousuf Azami, and Elsa Pataky. In what seems like a fun nod to reality, Hemsworth will be playing Pataky’s husband, a role which he already occupies in real life. View the action-filled trailer below! Nicolai Fuglsig will direct the film, which will soon be marching into theaters on January 19, 2018.